Haappy Friday! This was such a strange week for me. We didn't have school Monday because of a teacher inservice day, and then had testing Wednesday with no classes in the afternoon. Not to mention, my workload is super sporadic, so I haven't had a lot the past few days which is sort of freaking me out (cue the "is there something I should be doing??"). Anyway, I have a bunch of fun plans for the weekend and can't wait to get outside and enjoy more of the fall weather! 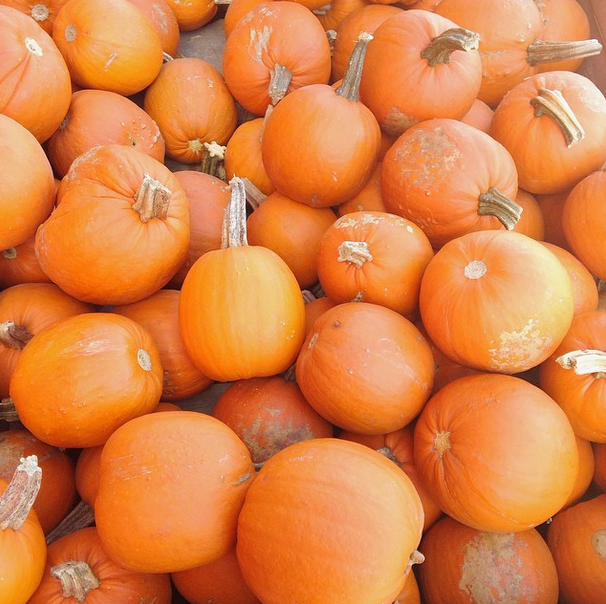 I went pumpkin picking on Saturday and I must admit, it is one of my favorite things to do all year. I'm thinking about doing a post with some fun Halloween DIY's - let me know in the comments below if you are interested in seeing something along those lines! On the weekends, I've been trying to really sleep in and pamper myself since I tend to not get tons of sleep during the week. One of my favorite ways to do this is by unwinding with my favorite magazines (Lucky is currently topping the list) and give myself a little mani pedi. No matter the season, Essie's Fiesta is always my go-to pink! Did you catch my latest outfit post? 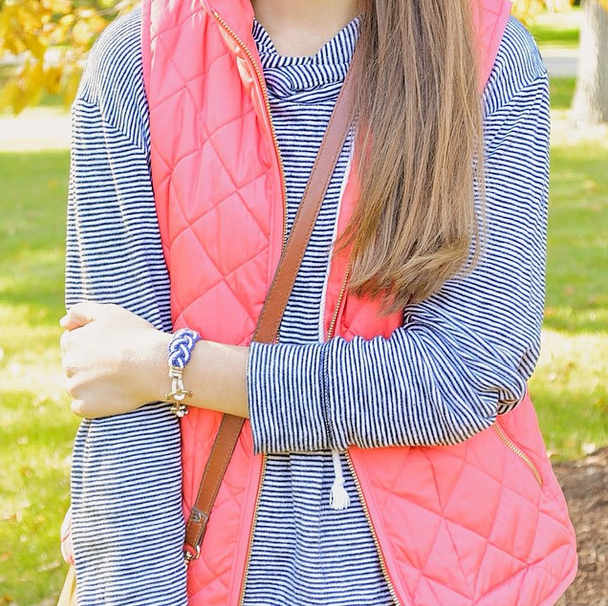 On Tuesday I styled my absolute favorite quilted vest from Old Navy which I practically live in in the fall. 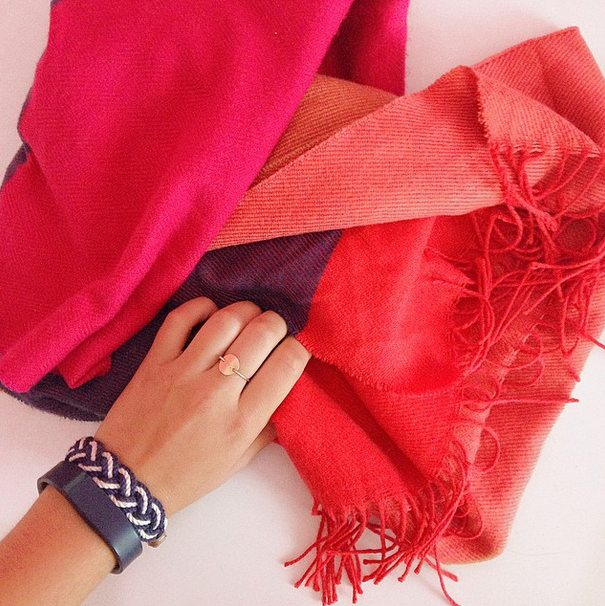 It is the perfect addition to any outfit, while providing a pop of color and a little extra warmth too. If you're wanting to take the plunge and buy one but don't want to spend a ton (ie. the J.Crew version), I really recommend Old Navy's version! How was your week? Any fun plans for the weekend?